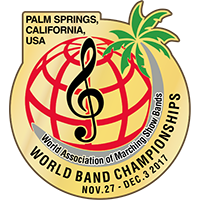 Mr. Brian Ingelson, Chair of the WAMSB 2017 World Championships, has reported that things are coming together very nicely for the championships being help in Palm Springs in later this year. The Championships will include Marching Parade, Marching Show, Concert Bands, and Jazz Ensembles. This is the first time the World Championships have been held in the USA, and it promises to be a fantastic international event. Beyond the competition, there are many scheduled workshops, clinics and demonstrations. Possible workshop participants include Alvin Taylor, Alan Goodman and Barry Manilow.